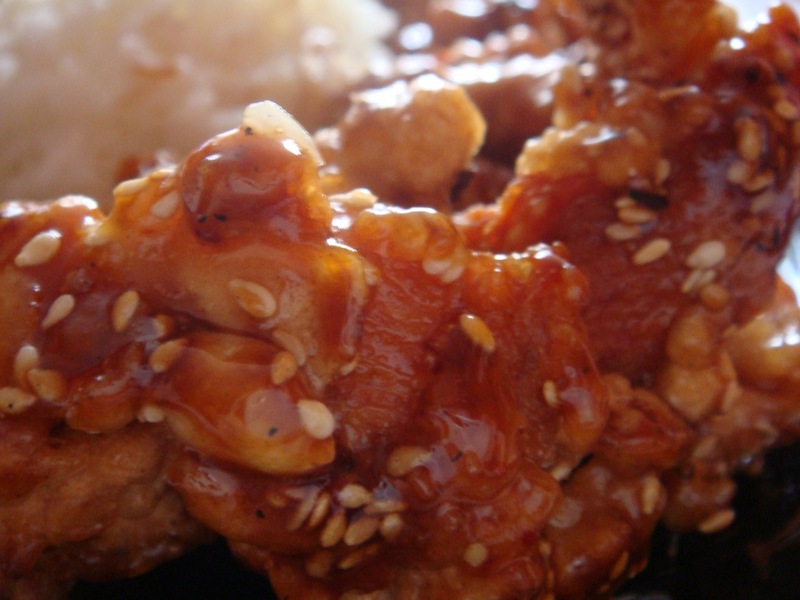 Dakkangjung 닭강정 a Korean dish of chicken fried crisp, then coated in a sweet and spicy sauce. 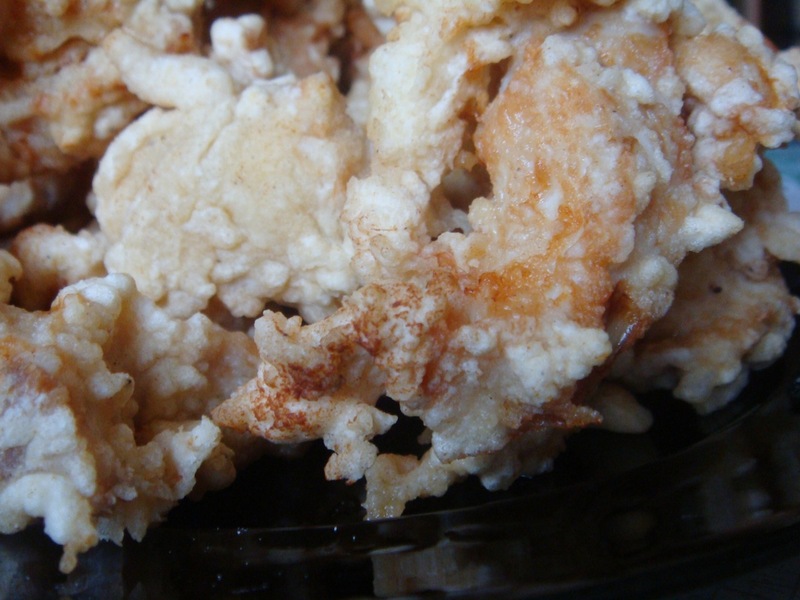 It’s usually made of chicken wings or chicken chunks, but I decided to try the recipe with chicken breasts because it’s my favorite part of a chicken. 1/2 cup of starch powder. 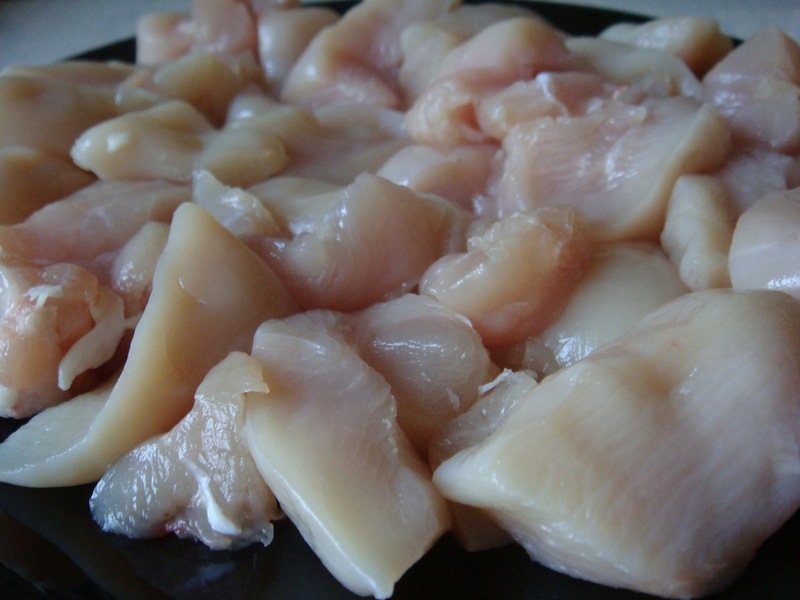 Cut chicken breasts into strips. Put them in a bowl. Add the remaining ingredients and mix by hand. 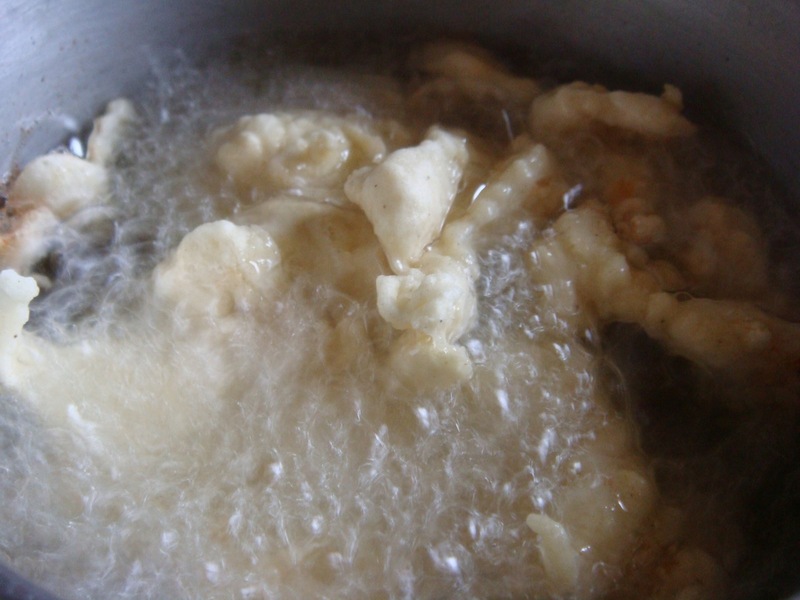 Deep fry the strips in vegetable oil twice until they get fairly crisp and golden brown. Now let’s make the sauce. 1 cup of honey, maple syrup or corn syrup. In a pan, heat up a cup of water. 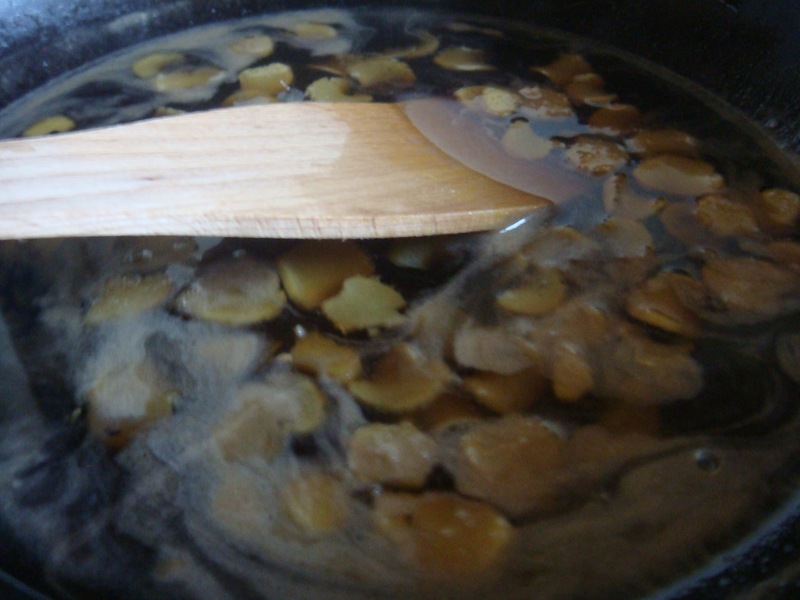 Add ginger, soy sauce, vinegar and sugar and boil over medium heat for about 5 minutes. 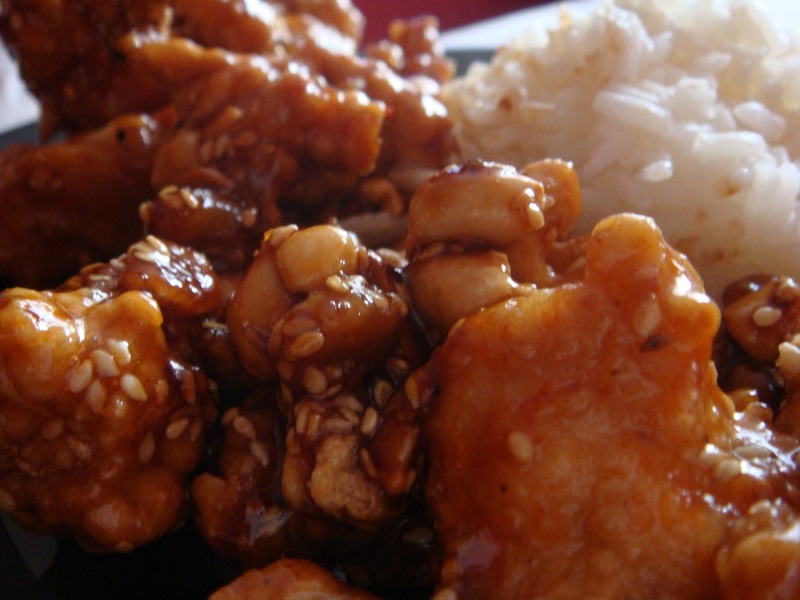 Add honey, lower the heat and boil for 30 minutes or until the sauce starts to thicken. If you can’t see the difference, simply dip a wooden spoon in the sauce and after you take it out, check with your finger if the sauce on the spoon caramelized. If it did, then turn off the heat and let it cool for a while. 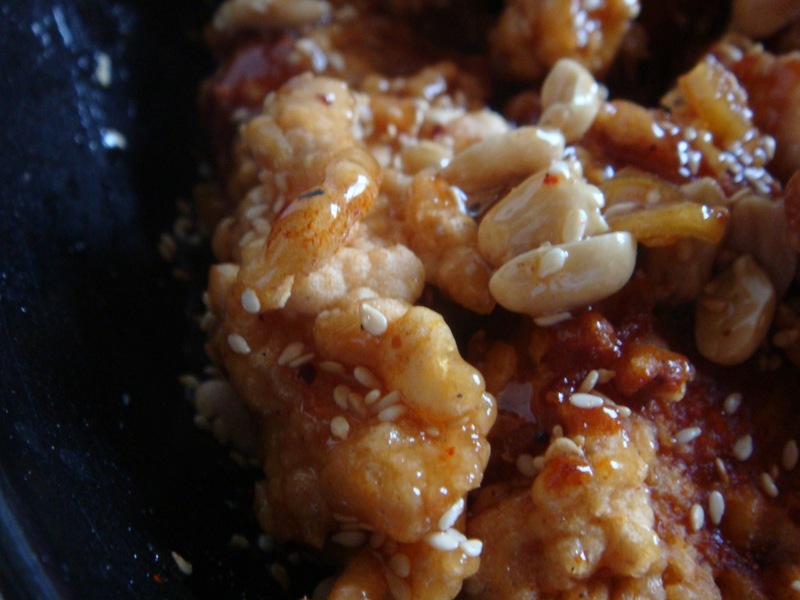 Now reheat the sauce, add chicken, 1 cup of peanuts, 1/2 teaspoon of red hot pepper and 1/2 cup of roasted sesame seeds. Mix it well and turn off the heat. You’re done. 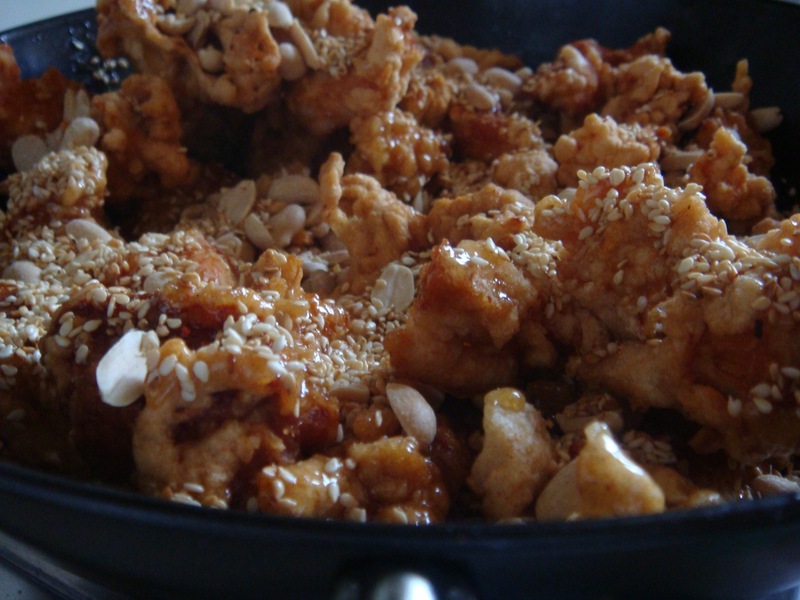 Dakkangjung is a very sweet dish, so it’s good to serve it with, for example, a bowl of rice.